Experts and politicians are pointing fingers in an effort to explain what caused the devastating Grenfell Tower fire in London that killed at least 12 and injured dozens more this morning. Quite unfortunately, all fingers appear to be pointing in the same direction, at a new aluminium cladding rain screen installed, in part, to make the building more attractive to wealthy neighbours in luxury flats nearby. 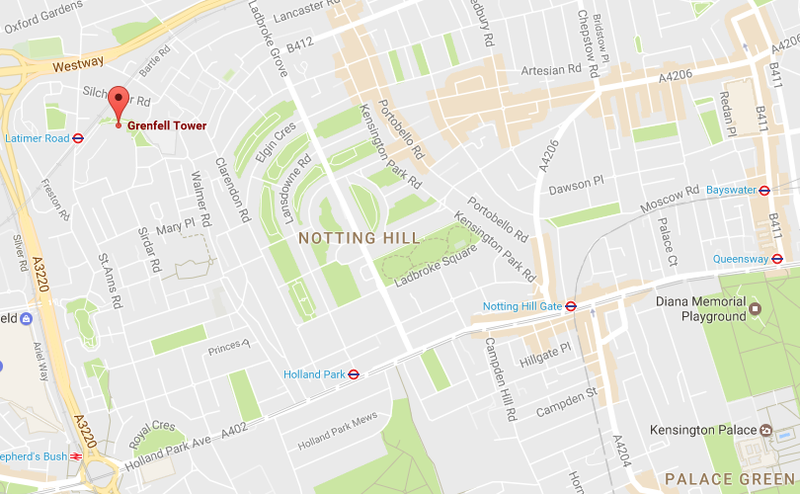 Grenfell Tower is part of an estate housing complex in the Royal borough of Kensington and Chelsea. This area of London is famous for its tremendous disparity in wealth as it’s home to some of the most valuable real estate in the world as well as some of the city’s poorest residents. Grenfell is where many of those poverty-stricken Londoners called home, and a group of residents now say their warnings of dangerous conditions “fell on deaf ears” for years leading up to the fire. A £10 million renovation wrapped up in May 2016, and now, it appears that some decisions made during that facelift may have furled this week’s fire in a very deadly way. Part of the motivation for Grenfell’s renovation, planning documents suggest, was to make the tower look better to its neighbours. That document, obtained by The Independent, claims the addition of new aluminium cladding “will improve its appearance especially when viewed from the surrounding area.” It justified the choice of materials “to accord with the development plan by ensuring that the character and appearance of the area are preserved and living conditions of those living near the development suitably protected.” Those living nearby, of course, are some of the richest people in London. Installing aluminium cladding isn’t inherently bad. The renovation detail was not only aimed at improving Grenfell’s appearance but also the building’s insulation. The space between the aluminium façade and the structure itself appears to have been stuffed with insulation. Fireproof insulation is expensive, and so some experts suggest that Rydon, the company responsible for the renovation, may have used cheap, non-fireproof insulation instead. This would have been a big mistake. Another fire safety expert, Angus Law from the University of Edinburgh, told the press that reports of the Grenfell Tower bore “similarities with other fires that have occurred recently around the world.” One such fire was the New Year’s Eve skyscraper fire in Dubai, when flames spread up the side of the Address Downtown hotel at breakneck pace as debris rained down onto the streets below. 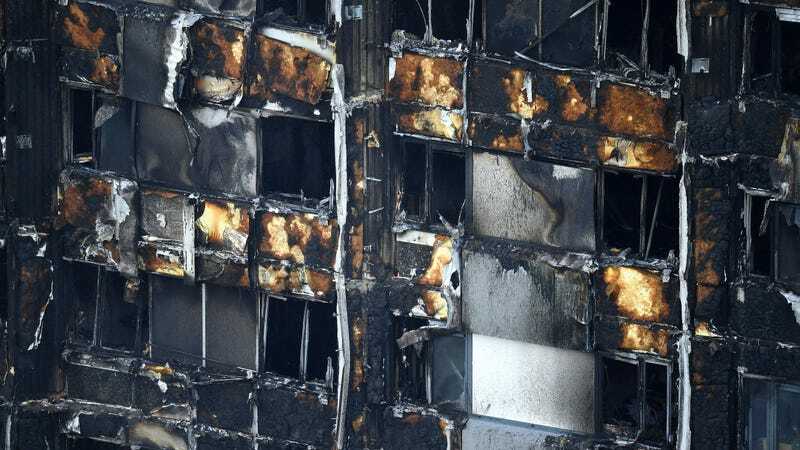 It was later determined that the cladding used on the hotel “did not meet fire safety standards.” The misuse of aluminum cladding has also been named as a major cause for other, similar tower fires in Dubai. Some reports say the fire started with the explosion of an electrical appliance. But towers are generally designed to contain fires to small areas. They shouldn’t light up “like a nightdress,” as one bystander put it. Nevertheless, the notion that the management company installed the aluminium cladding, in part, for cosmetic reasons is more than unsettling. Their is a distinct possibility that improper installation and flammable insulation played a part in the loss of homes and lives. What caused it? Could it happen again? What can we do to prevent future tragedies? But not particularly soon as a deal is still a long way off. Think YOU have a nightmare commute? Find out how you stack up against the rest of London here. Giz UK can exclusively reveal it isn't the Central Line, like everyone assumes that it is.